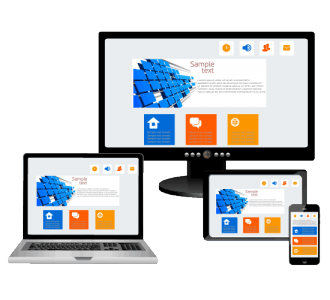 Beautiful, mobile-friendly, and easily updateable websites are our specialty. If you’re in the market for a cookie-cutter, drag-and-drop template website, we’re not the company for you. All of our websites are designed and developed by our in-house design team. When you’re investing in a new website, the last thing you want is for it to look like another business's site. Your business is unique—your website should be as well. All of our websites are built on open-source content management systems, giving you the ability to update your site as often as you’d like and to have it hosted with any hosting provider you choose. Don’t be fooled by companies who offer proprietary content management systems—should you ever wish to part ways with that company, you may not be able to take your site’s functionality with you. Many website companies offer attractive monthly prices for websites, but beware—should you wish to cancel your contract and move your site to another host, you may not be able to keep your site (and/or domain name). In addition, many companies will continue to bill you monthly long after your website has been paid for in full. When you choose PCM for your web design project, you'll always speak to directly to the designer working on your site. No off-shore, outsourced employees and no gate-keepers. We'd love the chance to learn about your business goals and discuss how we can help you grow.